The amphetamines are potent psychomotor stimulants. Their use causes a release of the excitatory neurotransmitters dopamine and noradrenaline (norepinephrine) from storage vesicles in the CNS. 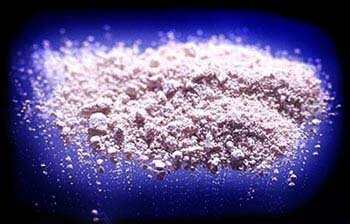 Amphetamines may be sniffed, swallowed, snorted or injected. They induce exhilarating feelings of power, strength, energy, self-assertion, focus and enhanced motivation. The need to sleep or eat is diminished. The release of dopamine typically induces a sense of aroused euphoria which may last several hours: unlike cocaine, amphetamine is not readily broken down by the body. Feelings are intensified. The user may feel he can take on the world. The euphoria doesn't last. There follows an intense mental depression and fatigue. Amphetamine depletes the neuronal stores of dopamine in the mesolimbic pleasure centres of the brain. More than any other illegal drug, speed is associated with violence and anti-social behavior. Occasional light and infrequent use is probably relatively harmless; but heavy chronic use can lead to stereotypies of behavior, depressive disorders, "meth bugs" akin to cocaine-induced formication, strain on the cardiovascular system, increasing behavioral disintegration, and outright "amphetamine psychosis".